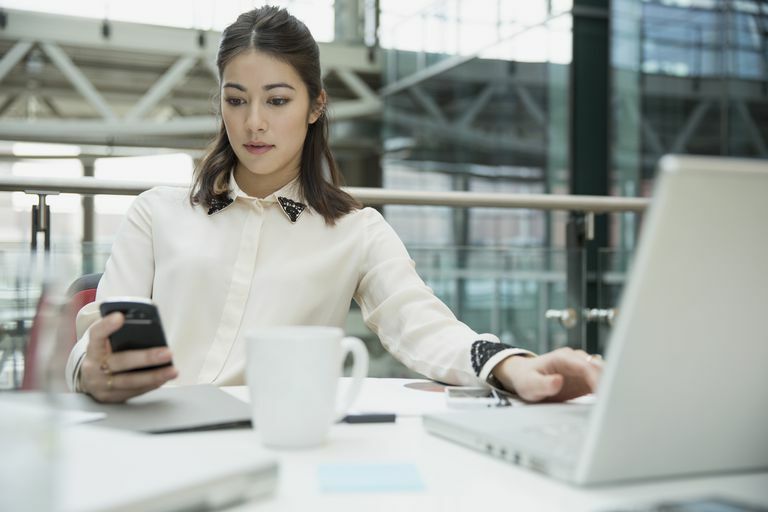 In addition to emails and phone calls, messaging has gained popularity as a way to manage workplace communications and streamline projects on the job. However, as with all communication mediums, there are a couple of rules everyone should follow to be seen as a courteous coworker. By developing good messaging habits, you can use messaging in a productive way to interact with your coworkers in a professional and efficient manner. Seek permission to enter. Just as you would over the telephone, always ask whether it is a good time to message with the user on the receiving end. Try, “Michael, do you have a moment? I would like to ask a question about last month’s finance report.” Not only are you asking for availability, you also drop the subject of the query. If they are busy, ask the recipient of the message when a good time would be to follow-up. Mind availability settings. Take a look at the recipient's availability settings before sending an instant message to a contact. Even if you can see your coworker is clearly not “in a meeting,” now may not be the best time. In return, always set your settings so that your coworkers can easily see if you are available. Keep it brief. The boss says you have his attention… now what? Whatever you do, practice brevity. Messaging in the workplace is best when communication is specific and concise — so get to it! Ask your questions and get on with business. Use proper english. When sending messages regarding work, keep slang and messaging acronyms at bay and use proper English instead. Not only is it more professional, it helps avoid the distraction of needing to explain slang or abbreviations with someone who many not be as savvy as yourself. Don’t forget the punctuation and correct spelling, either. Avoid long conversations. If your IM session begins to drag into overtime, suggest a face-to-face meeting so you can maintain an efficient work environment. Follow office policies. Most IT departments are leery of allowing associates free reign to download software to their computers. Find out what desktop and mobile applications and platform your company approves, and use them exclusively when you're working. Get a screen name for work. While your buddies might think your messaging moniker is cute or funny, your work contacts might be offended or form a less-than-stellar image of you after seeing your screen name. Consider getting a work-only username. You can always user your work login with friends and family if you'd prefer to maintain just one account. Business-friendly messages. Remember, your communications to your colleagues, boss, clients, and vendors should always be professional, even when you are messaging. Put away the political GIFs, the bright orange text, and the funny images, and stick with traditional fonts like Arial or Times New Roman. You can always use an emoji to liven up your communication if that is something that your other coworkers do and it fits within your company culture, but don't use anything that is not appropriate for work. Consider sprucing up your messaging profile with a business-savvy image, company logo, and work-related contact information. Now you’re set for business.